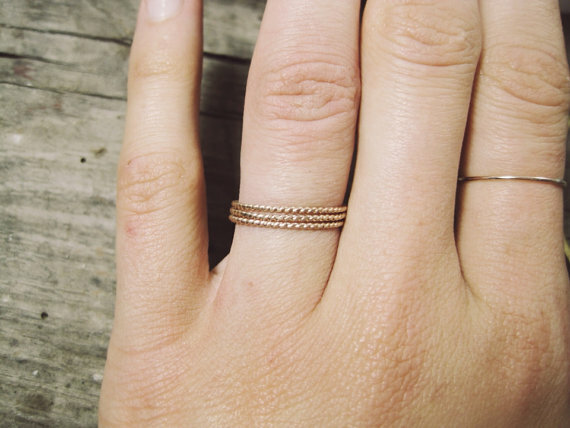 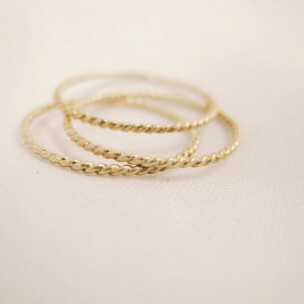 These 14K Gold Fill rings are the most beautiful delicate little rings, like tiny twist of threads on your fingers. 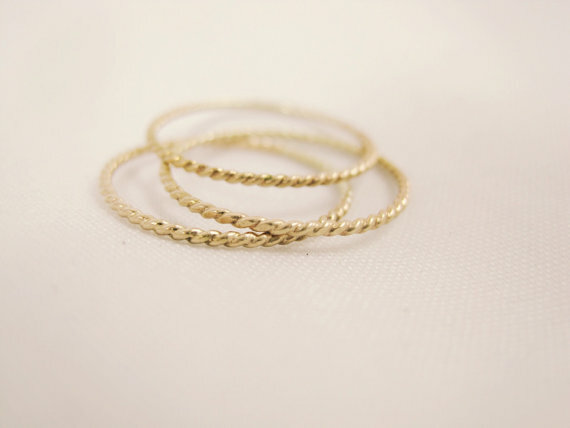 Comes in a set of three, these rings make greats gifts. 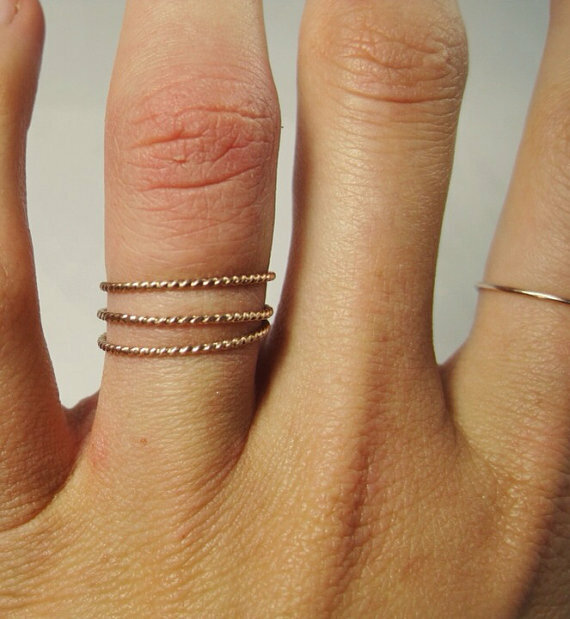 These rings are made to order, please leave ring size upon purchasing.